Summer love is about enjoying social times with family and friends. The Wave Barstool are perfect for those social butterflies that want to create a social area, where they can enjoy some friendly banter and share some drinks. This Wave Barstool comes with an adjust height mechanism to help adjust it to the right height making it highly versatile to any situation. If you aren’t one for those social events then maybe a nice setup around the kitchen counter could offer some wonderful seating solutions. Perfect for those quick meals before starting your day! 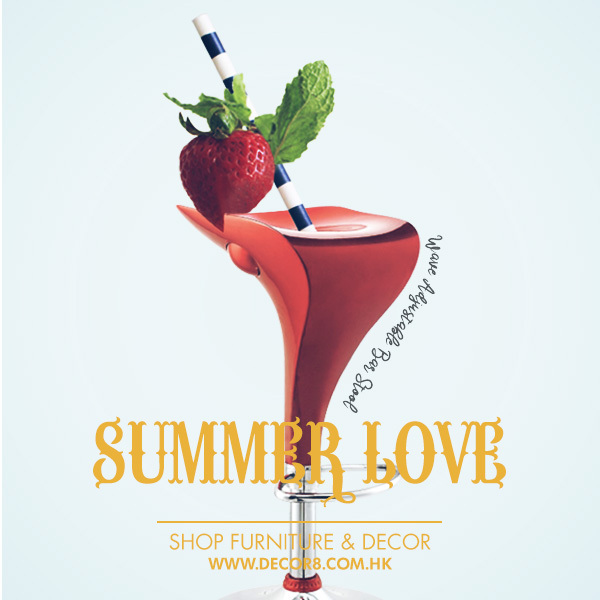 If you want browse other styles of bar stools then why not check out our selection at Decor8 Hong Kong Furniture. This entry was posted in Barstools, Seating and tagged adjustable, adjustable barstool, bar setting, barstool, furniture, hk furniture, hong kong furniture, seating, wave.